Anne-Marie has a background in Cultural Anthropology (MA) and Social Informatics (PhD). Her work focuses on the interdisciplinary study of the design, uses and consequences of ICTs taking into account their interaction with institutional and cultural context. 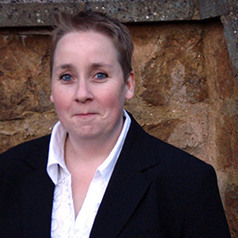 Currently, Anne- Marie holds a research position at the Oxford Internet Institute, a department within the Social Sciences Division of the University of Oxford. Previously, she worked at the Social Informatics Department at the University of Amsterdam (UvA), the Royal Netherlands Academy of Arts and Sciences (KNAW), and the Rathenau Institute in The Hague. The aim of her research is not only to enlarge academic understanding of ICTs, but also to inform public policy debates and professional practice. She has worked on several EU and UK funded projects (e.g. FASME, TrueVote, SESERV, Privacy Value Networks, EINS, FastPass, Access Denied) and published many articles on the social, economical, legal and political impact of new and emerging technologies (e.g. electronic voting, e-government systems, location tracking systems, automated border control systems); privacy aspects in relation to ICT; public trust issues; and user participation as a practical form for (computer) system design.